In the 1980s, popular culture reflected that decade’s sheen of avarice – from movies like “Wall Street” to songs like “Everybody wants to rule the world”. Thirty years on, ours is arguably a more hopeful world. On the one side, you still have the poor – 1.3 billion people currently live in extreme poverty. On the other remain the super-rich, including the 2 000 (dollar) billionaires worldwide. What’s new is a growing zeitgeist linking these extremes of society, in which an increasing number of the super-wealthy are choosing to give away much of their fortune, as a humanitarian act for the greater good. Here, in what is still one of the world’s most unequal countries, Patrice Motsepe is leading that change. Patrice Tlhopane Motsepe is founder and Executive Chairperson of African Rainbow Minerals, which has interests in gold, ferrous metals, base metals and platinum mining. He sits on several company boards including that of Harmony Gold, one of the world’s largest gold mining concerns, and is Deputy Chairperson of Sanlam. In 2009, he became Africa’s first black billionaire. In 2012, he was, for a time, officially South Africa’s richest man, with an estimated fortune of R20.07-billion ($2.4-billion). Still relatively young, at 50, Patrice Motsepe had come very far indeed. He was born in 1962 to Augustine Motsepe, a schoolteacher turned small businessman who owned a spaza shop popular with black mine workers. It was here, in this humble setting, that Motsepe learned sound business principles from his father, while being exposed to the rough life of black miners during the height of apartheid. These two influences would prove to become a powerful combination in Patrice Motsepe’s later life. He has of course become a renowned mining magnate, and he still counts his father, who passed away in 2007, as the person who exerted the most influence on his life. After earning a Bachelor of Arts from the University of Swaziland and, later, an LLB from the University of the Witwatersrand, becoming the first black partner at law firm Bowman Gilfillan was a proud step for Motsepe. This was in 1994, a time of nascent democracy in which the new government was prioritising black empowerment and entrepreneurship. Specialising at that time in mining and business law, Motsepe’s next move was a stroke of genius: he founded a mining services venture, Future Mining, to glean gold dust from old, unprofitable mine shafts. In an early indicator of his now-renowned generosity, he initiated a system of worker remuneration that combined a base salary with a profit-sharing aspect. In 1997, the gold price having dropped by more than 22% on the previous year, Motsepe executed another master stroke, by forming African Rainbow Minerals Gold Ltd (ARMgold) and purchasing several loss-making marginal gold mines from AngloGold, on favourable terms. This enabled him to engineer the purchase of more operational mines – laying the foundation for much of his wealth. In 1999, he teamed up with two associates to form Greene and Partners Investments. Motsepe’s growth strategy continued in tandem with a steadily rebounding gold price, which rose from $287 in 1997 to nearly $870 in 2008 – the same year Motsepe was named “503rd richest person in the world”, according to the Forbes World Billionaires List. By this time, ARMgold had listed on the JSE Security Exchange (2002) and joined with Harmony Gold Mining Ltd. (2003) to form the world’s fifth-largest gold producer, commanding an output of 4.1 million ounces a year. The rest is a remarkable personal history, written in gold dust, and Motsepe’s respected reputation is reflected by a number of accolades he has received over the years; among them, being named Africa’s Best Entrepreneur Award in 2002, and being voted one of state broadcaster SABC3’s Great South Africans in 2004. He was also named as one of ten Legends of Empowerment in the 2013 Oliver Top Empowerment Awards; this publication’s sister event. He has gone on to become not just a prominent figure in mining, industry and business, but in other sectors as surprisingly diverse as healthcare and soccer. Motsepe’s African Rainbow Capital (ARC) recently established a new investment company called ARC Health, which aims to reform exorbitantly expensive private healthcare sector and redress inefficiencies in both the private and public sectors – ultimately, reducing the cost of healthcare for the average South African. This at a time when the government and healthcare stakeholders continue to wrestle with solutions to funding the proposed National Health Insurance (NHI). For the last 12 years, he has been sole owner and President of Mamelodi Sundowns Football Club, which became only the second-ever PSL team to win Africa’s coveted CAF Champions League trophy in October 2016. As per Motsepe’s traditional directive since taking ownership of the club, the victorious players were granted the entire R20-million+ in prize money to divide amongst themselves. The years 2013–2015 were pivotal, in terms of the destiny of Patrice Motsepe’s wealth. 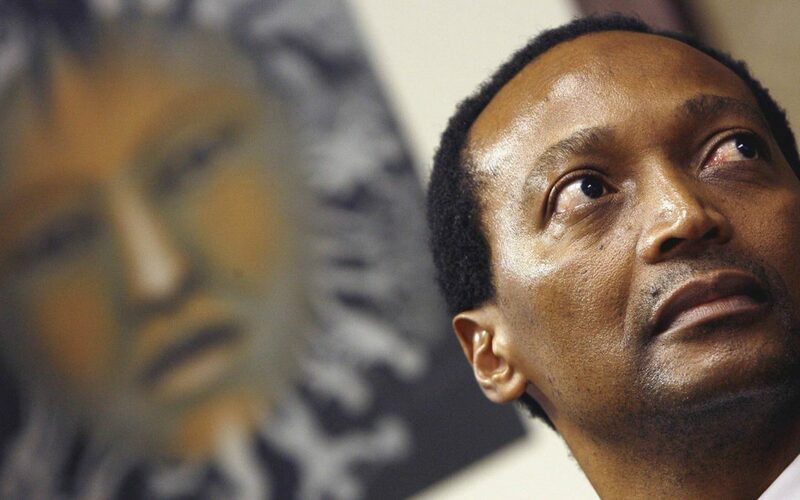 Already a renowned philanthropist, since the 1999 founding of his Motsepe Foundation, he took things a giant step further in January 2013, making world headlines in the process. Together with his wife Precious, Motsepe announced his public commitment to The Giving Pledge (Givingpledge.org). Founded by Bill and Melinda Gates, together with Warren Buffett, The Giving Pledge is a non-binding yet serious invitation to the world’s super-wealthy to disburse their money to charitable causes. To date, nearly 200 billionaires have signed up. Patrice Motsepe was, however, the first African billionaire to do so. His personal letter of commitment stated, “Precious and I will contribute at least half of the funds generated by our family assets to the Motsepe Foundation to be used during our lifetimes and beyond; to improve the lifestyles and living conditions of the poor, disabled, unemployed, women, youth, workers, and marginalised South Africans, Africans, and people around the world.” At the time, Motsepe’s personal wealth was estimated at around $2.7-billion. Still – half a fortune pledged; half a fortune lost. The next few years in the life and times of Africa’s foremost philanthropist – South Africa’s own compassionalist – will be very interesting to watch. Just how unequal is society today? Just 62 billionaires own the same amount of wealth as 3.5 billion people – half the world’s population. 795 million people (1 in 9) don’t have enough food to lead a healthy life. Almost all of them live in developing countries. According to the United Nations’ Gini Index, South Africa is the world’s second most unequal country, right after Lesotho. This despite our economy – ranked as “upper-middle income” by the World Bank – being one of the largest on the African continent. The wealth of the country’s top 10% of the financial elite grew by 64% in the first 17 years of democracy; the poorest 10% saw no financial growth in the same period. One-third of Africa’s richest business leaders live in South Africa. More than half of South Africa’ s 52 million people live below the poverty line.